NorthShore Watersports are running a competition for one lucky fan to win a brand new Hero3 HD camera by GO-Pro. Kayak and canoe specialist, NorthShore Watersports, is running a social competition to win a Hero3 HD camera by GO-Pro. For the chance to win, participants may enter online and gain further entries by completing more steps such as following Tees Barrage on their Facebook and Twitter social accounts and sharing the competition image. The prize is worth £359 and comes complete with a Wi-Fi remote and key ring for advanced usability. 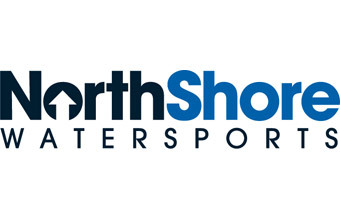 The prize of the NorthShore Watersports competition is a black edition Hero3 by GO-Pro which is primarily for those who loves to live life in the fast lane. GO-Pro is the world's leading brand for activity image capture and now the Hero3 has been released; the new model is much smaller, lighter and smarted than the brand's previous products. The GO-Pro Black Edition is the top of line model and captures video and photo at an astonishing level which is great for sports such as downhill mountain biking, kayaking and snowboarding.